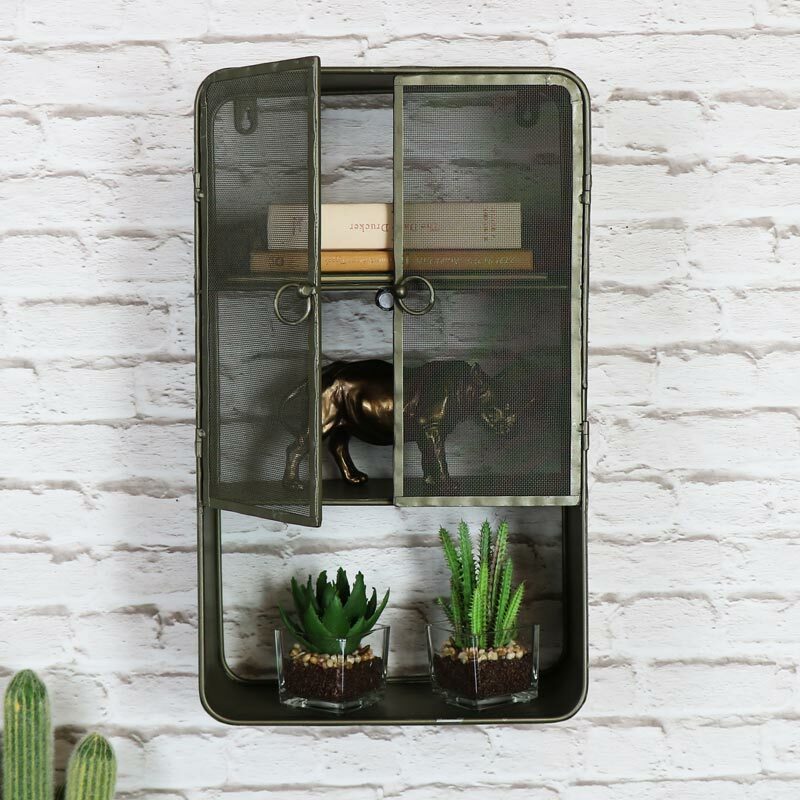 This fantastic little wall mounted cabinet will look perfect in any room. Great for adding that vintage retro and industrial look. Perfect storage for the bathroom, bedroom, office or hallway. Features 3 shelves with 2 behind mesh fronted doors with magnetic closing. 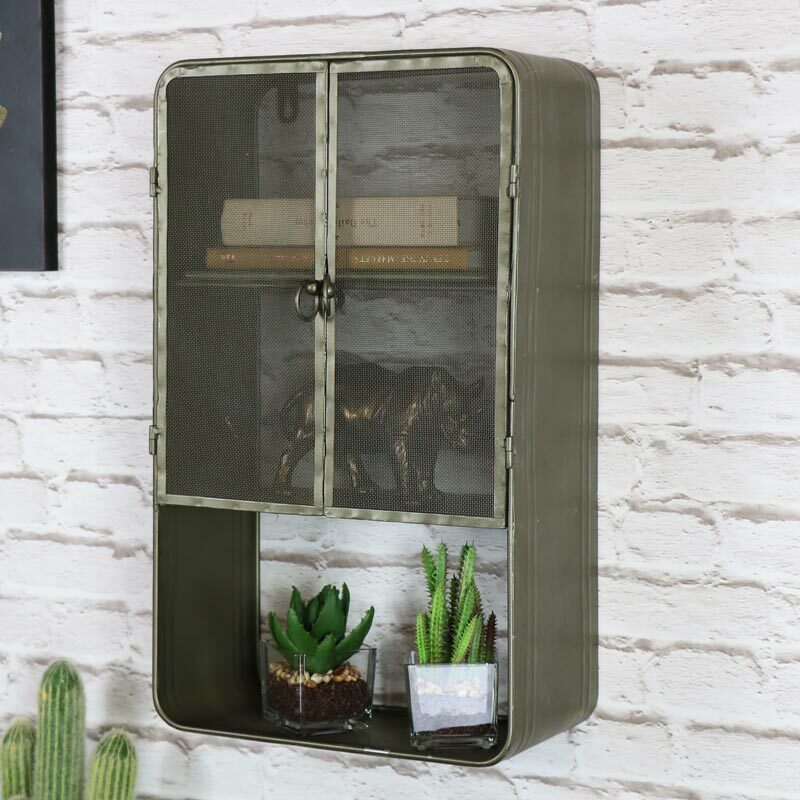 This wall cabinet will add some retro charm in a fantastic industrial look that will be perfect for any home. 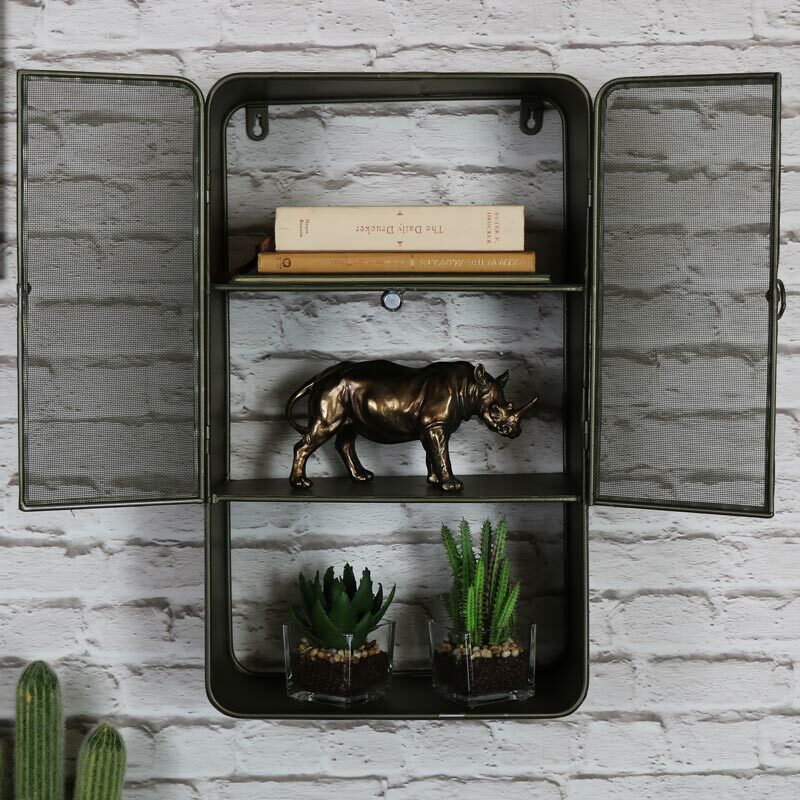 This fantastic little wall mounted cabinet will look perfect in any room. 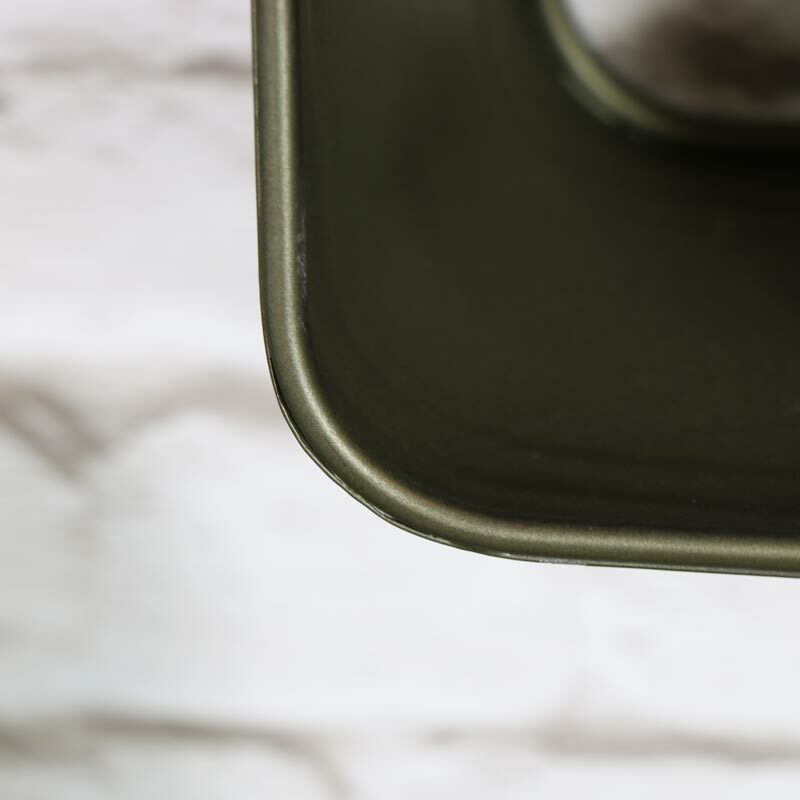 Great for adding that vintage retro and industrial look. Perfect storage for the bathroom, bedroom, office or hallway. Features 3 shelves with 2 behind mesh fronted doors with magnetic closing. 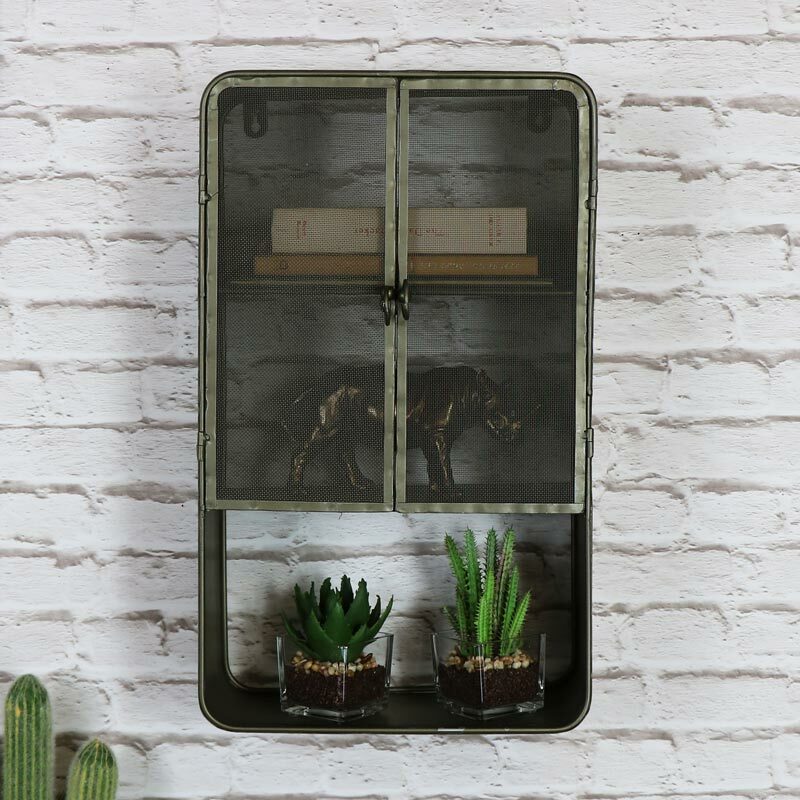 This wall cabinet will add some retro charm in a fantastic industrial look that will be perfect for any home. Made from metal in a brushed silver distressed finish with mesh fronted doors. Space between shelves top 15.5cm, middle shelf 16cm and bottom shelf 17cm. We have an array of wall cabinets to suit any room and decor. From the retro and industrial to farmhouse and French country.